Bryan M. Graye, D.M.D., M.S. Growing up the son of a pediatric dentist, there was nothing else Bryan Graye ever wanted to do. He saw first hand the way a child should be treated in a dental setting, and couldn’t be more excited to be able to offer his services to the children of Monmouth County. Dr. Graye grew up in Westfield, NJ, graduating from Westfield High School. He earned his B.A. from Franklin and Marshall College in Lancaster, PA, where he played varsity lacrosse during his four year stay. He attended dental school at UMDNJ-New Jersey Dental School, where he was active in many student organizations. Dr. Graye continued at UMDNJ after completing his D.M.D. to obtain his certificate in pediatric dentistry and Master’s in Dental Science. Since completing his residency in 2009, Dr. Graye has been working in private practice alongside his father until his recent retirement this past summer. He is a member of many professional organizations, including the American Dental Association, New Jersey Dental Association, Monmouth-Ocean County Dental Association, American Academy of Pediatric Dentistry, New Jersey Academy of Pediatric Dentistry, and has recently become board certified by the American Board of Pediatric Dentistry. Dr. Graye is BLS and PALS certified. Dr. Graye is currently on staff at Monmouth Medical Center. 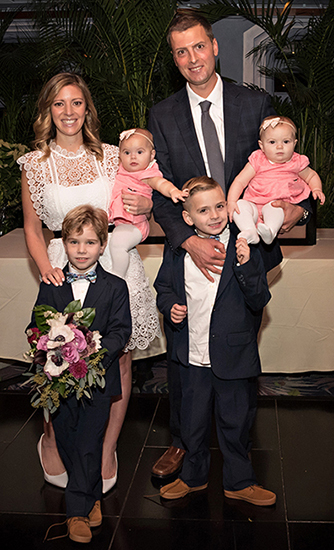 Dr. Graye lives in Colts Neck with his wife Susan and their children, Henry, Jackson, Coralie and Lilah. children and teens in surrounding cities of Middletown, Rumson-Fair Haven, and Tinton Falls, NJ.